For a historic and wallet-friendly experience, explore the Carmel Mission Basilica. Founded in 1771 by Father Junipero Serra, the mission is beautifully restored. Don’t miss the onsite museum and peaceful garden that are open daily. Stop by the Carmel Visitor Center and pick up a self-guided walking tour map. Visitors can choose either the Historic Tour or Hidden Courtyard Tour. Both are free and fascinating. Carmel Beach is known for its white sand, its dog friendly atmosphere, and as a great spot for snuggling up next to a beach fire. Pack a picnic and get a front row seat for Nature’s best show, a sunset over the Pacific. A 15 minute drive from Carmel-by-the-Sea, Earthbound Farm in the sunny Carmel Valley has a free Walking Labyrinth made from living aromatherapy plants that kids go crazy for. While there, don’t miss the gourmet goodies at their farm stand, and indulge in a guilt-free splurge on their organic frozen yogurt. A.W. Shucks Oyster Bar serves a dozen freshly shucked oysters for just $20. Locals and visitors alike come here for the hearty clam chowder, reasonably priced seafood and laid-back setting. Happy Hour at Doris Day’s hotel, the Cypress Inn, features swanky martinis and live jazz in an ultra-fabulous setting. Or, stop by Clint Eastwood’s Carmel Mission Ranch to kick back by the outdoor fireplace with a glass of local Pinot Noir at sunset. You may even get to see him tinkling the ivories at the piano bar. Make a beeline for the Carmel Plaza’s Cheese Shop for free samples of gourmet cheeses from around the world. New urban wine tasting bars are popping up around Carmel, including Caraccioli Cellars and Wrath Vineyards. Taste by the sip, the glass, or pick up a bottle to enjoy later. Hop aboard the Grapevine Express, a public transportation line that takes passengers to 11 distinct tasting rooms in the beautiful Carmel Valley. A day pass costs $8 and travelers can get on and off as much as they wish. 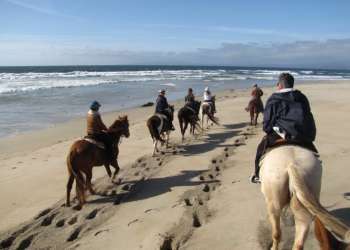 The daily shuttle picks up every hour at Carmel Rancho off scenic Highway 1. Discover some of Carmel’s poetic roots at the charming Tor House and Hawk Tower. These local gems were built by poet Robinson Jeffers, crafted from boulders gathered from the rocky shore of Carmel Bay. In Carmel, not only can visitors catch a live theater or musical performance that they would expect to find in a metropolitan area, tickets to these shows are typically far less than what would be paid at a big city box office. Head to the Pacific Repertory Theatre or Sunset Center for an experience that’s rich in culture, not cost.